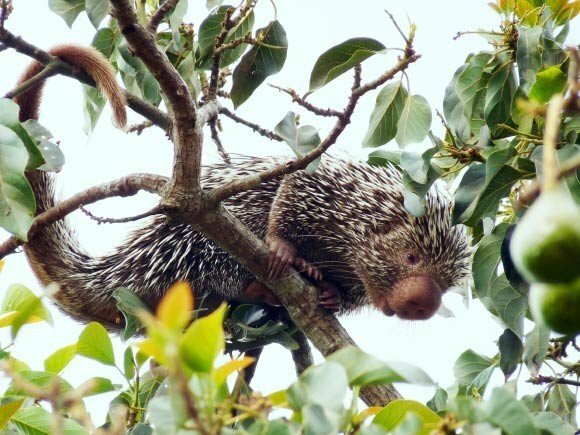 Scientists have announced the discovery of a new species of tree-going porcupine in the tropical forests of Northeast Brazil -- noted for its long, prehensile tail and soft, bulbous nose. The species, named Coendou baturitensis, is said to be a slow-moving yet agile climber, foraging for leaves, fruits, and buds at night, while sleeping in a prickly, curled ball during the day. This porcupine joins a growing number of newly-discovered organisms in Brazil -- a hotbed of biodiversity where an average of three previously unknown species are recorded every day.